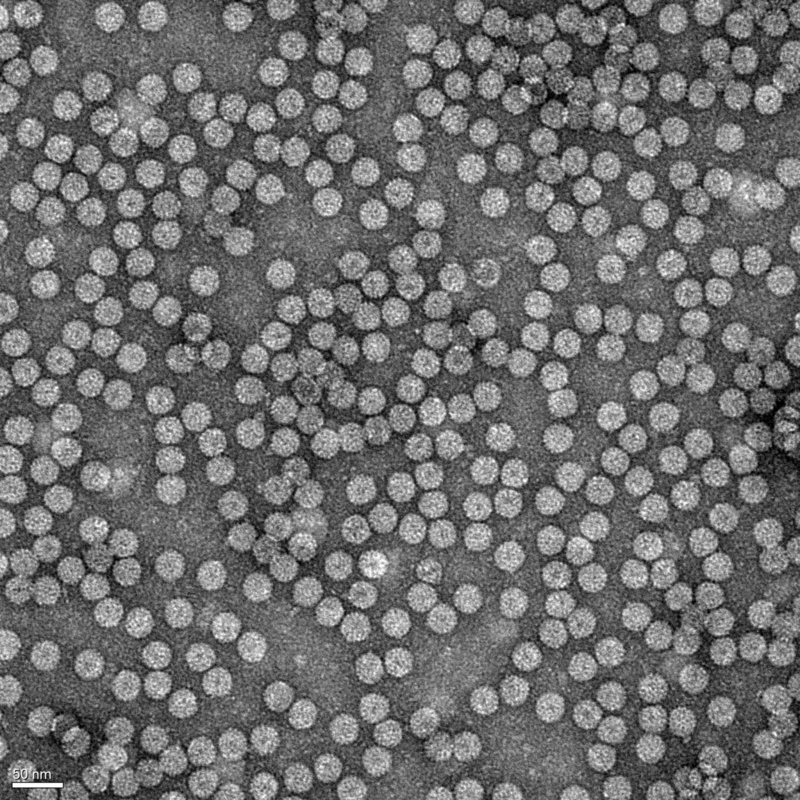 This image shows virus particles as observed by transmission electron microscopy. People usually associate viruses with something negative. However, instead of making you ill virus particles can be very useful in the formation of innovative nanomaterials. With techniques like freeze-drying virus particles can be isolated from their aqueous environment and can subsequently be mixed with other compounds to create new hybrid materials with possible applications to hybrid nanotechnology.